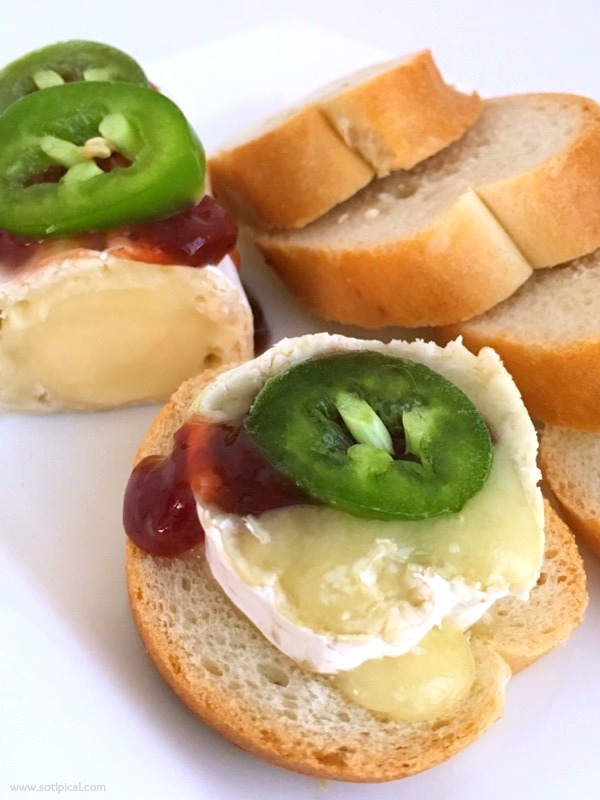 It is entertaining season and this easy brie appetizer is fast, fabulous and delicious! I served it at a small gathering and have also enjoyed it with a nice salad or as a snack on its own. I’m sure you’ve had the easy appetizer where you top a block of cream cheese with either salsa, pesto or pepper jelly, served alongside crackers. I’ve even used a log of goat cheese topped with pesto and sun dried tomatoes in place of the cream cheese. I recently saw a “log” of brie at the grocery store and thought it would be a nice alternative to serve in place of the cream cheese or goat cheese. I heated the log of brie for about 10 seconds in the microwave, but a few minutes in a warm oven would work well too! 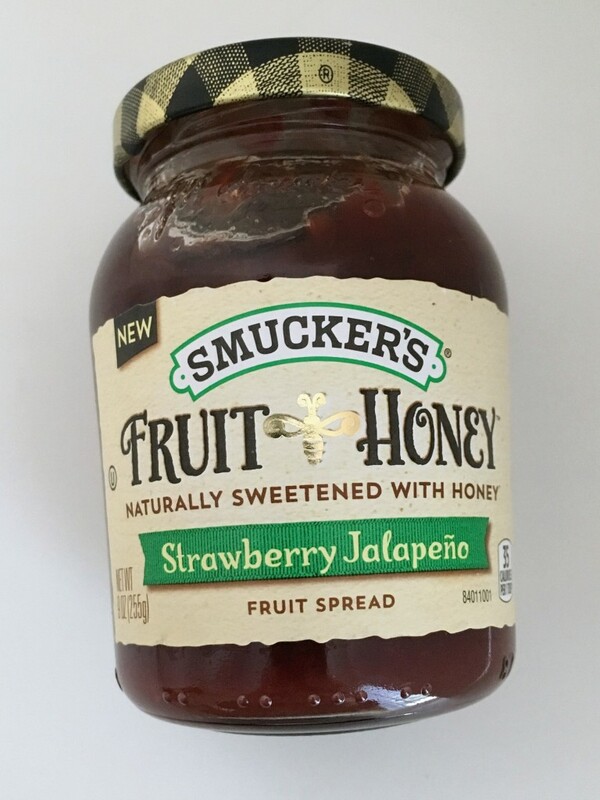 Then then spoon some Strawberry and Jalapeño Fruit Spread over the top and garnish with thin slices of fresh jalapeño. And you’re done! Serve with sliced french bread or toast rounds. You can make this in under 5 minutes! Of course this would also be great with a wheel of brie, but I made this for a small group of 4, so it was perfect for us. Here is the fruit spread I used. It came in my December Degustabox. 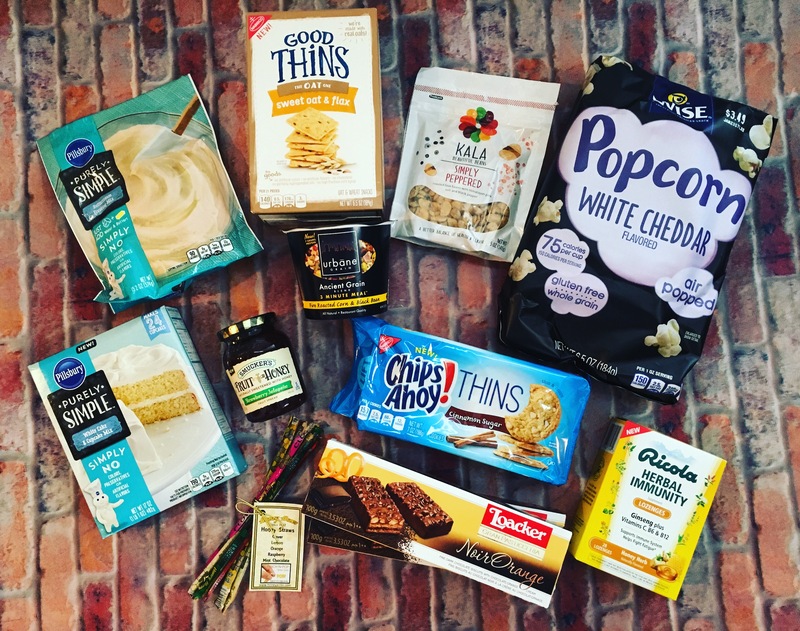 So many yummy treats this month! We’ve been enjoying them all! Can’t wait to see what we get next month!